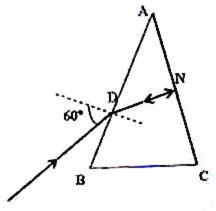 The following question appeared in IIT-JEE 2008 question paper under Reasoning Type Questions. 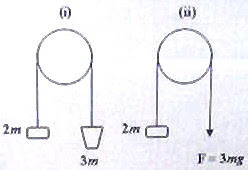 Two cylinders, one hollow (metal) and the other solid (wood) with the same mass and identical dimensions are simultaneously allowed to roll without slipping down an inclined plane from the same height. The hollow cylinder will reach the bottom of the inclined plane first. 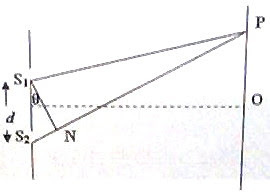 By the principle of conservation of energy, the total kinetic energies of both the cylinders are identical when they reach the bottom of the incline. 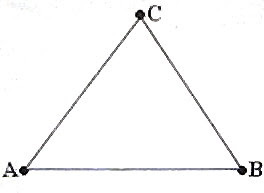 where θ is the angle of the plane (with respect to the horizontal), I is the moment of inertia (about the axis of rolling) and R is the radius of the body. 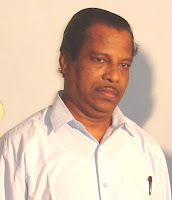 Since the moments of inertia of solid cylinder and hollow cylinder are respectively MR2/2 and MR2 the acceleration a is greater for the solid cylinder. Therefore, the solid cylinder will reach the bottom of the inclined plane first. Since the cylinders have the same mass and are at the same height they have the same initial gravitational potential energy Mgh. This potential energy gets converted into translational and rotational kinetic energies (obeying the law of conservation of energy) when the cylinders roll down the incline and the total kinetic energies of both the cylinders are identical when they reach the bottom of the incline. Since the angular velocity is the same in the two cases, the ratio of kinetic energies must be equal to the ratio of moments of inertia. [Note that in the second case the moment of inertia of the system is due to the single mass at C which is at distance Lsin60º from the axis AB]. Thus K1/K2 = 2/(√3/2)2 = 8/3. This gives Av = 100. The second option alone is incorrect. 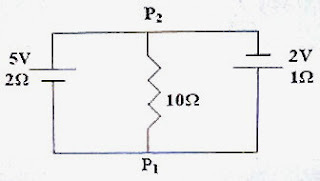 The band width of a negative feed back amplifier will be greater than that of the same amplifier without the feed back. 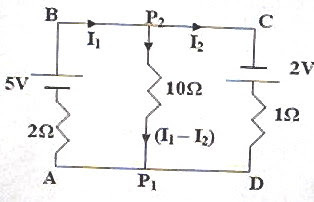 Since there is a reduction in the voltage gain consequent on the negative feed back, the 3 dB down frequency on the lower side will be shifted towards lower frequency and the 3 dB down frequency on the upper side will be shifted towards higher frequency. Application Form and the Information Bulletin in respect of the All India Engineering/Architecture Entrance Examination 2009 (AIEEE 2009) to be conducted on 26-4-2009 are being distributed from 5.12.2008 and will continue till 5.1.2009. Candidates can apply for AIEEE 2009 either on the prescribed Application Form or make application ‘Online’. Visit the site http://aieee.nic.in immediately for details. Apply for the exam without delay. You will find many old AIEEE questions (with solution) on this site. You can access all of them by typing ‘AIEEE’ in the search box at the top left of this page and clicking on the adjacent ‘search blog’ box.